iPlayerHD's email embeds is a great feature for your email campaigns. Author’s Note – The following blog post on the subject of customizing your player may also be found as a video tutorial in the Need Help section of your iPlayerHD content manager. The video is titled, appropriately, Email Embeds. 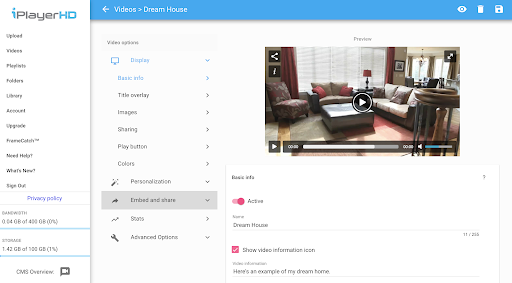 You’ve uploaded your video (and maybe customized it), and now it’s time to share that video with the world. In addition to social media, you can add your videos to emails, with iPlayerHD’s email embed feature. It may surprise you, but you can’t actually play video in most email clients, as they aren’t HTML-based. We can get around that by placing an image of the video player. Anyone who reads the email will intuitively click on the image, which opens a new page to the actual video player. 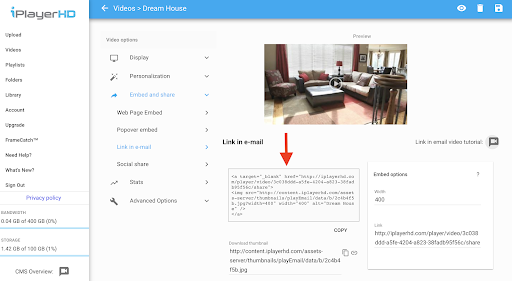 Alternatively, you can include a screenshot of your video in your email, and add a link to the video with your email client’s hyperlink functionality. However, this image won’t have a play button and won’t be as intuitive for viewers. Login to iPlayerHD and navigate to the Videos page. 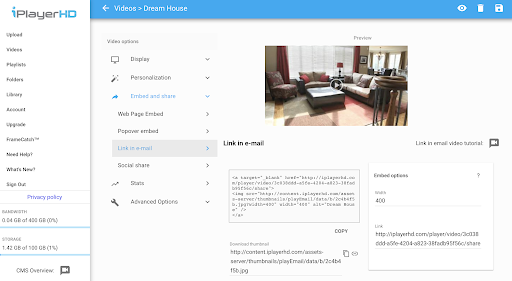 Select the video you’d like to embed within an email. 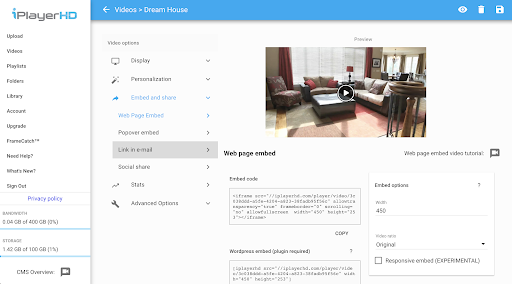 On the video options page, select Embed and share. Select Link in email. 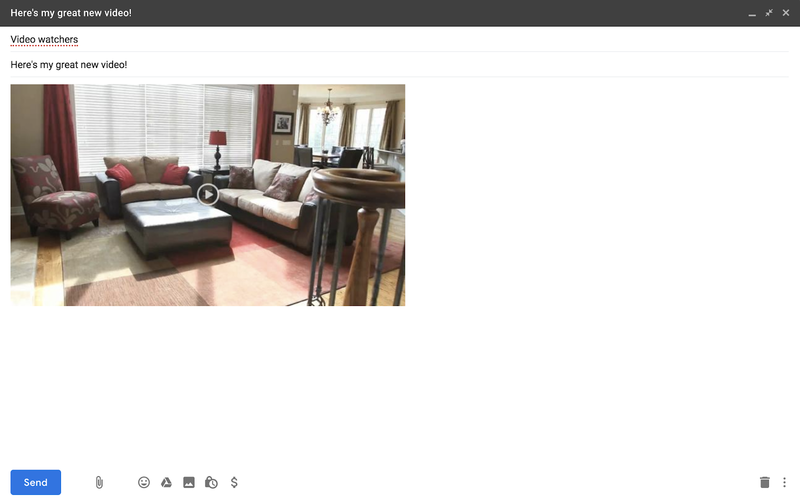 This is where you can preview and edit the email embed. Adjust the email embed options (if needed). 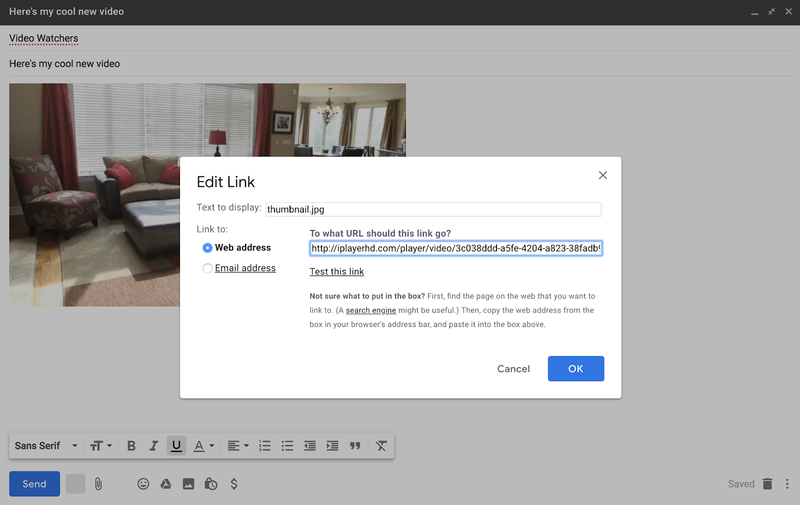 You can change the width of the image and update the URL that will be automatically be linked to the image. This is prepopulated for you, but you’re welcome to edit if you would like a custom URL. Navigate to the URL you see under Download thumbnail. This will (as you can guess) download the thumbnail image you’ll use in the email. Once you’ve downloaded the thumbnail, go into your email client and add the image. Add the link to the image. Copy the code given on the email embed options page. Embed the code in your email. You’re welcome to remove the reference link that iPlayerHD adds to the code. Replace it with whatever URL makes the most sense for you. Now that your video is embedded in your email, finish things up and send away! If you run into any trouble, you can always contact iPlayerHD support by emailing support@iplayerhd.com. We’re happy to help!